This is the last of my Kraft + color posts. Hope you have gotten some ideas to try for yourself. This is hands-down my favorite of all of the cards. It is fairly flat so it could be sent through the mail without any problem. 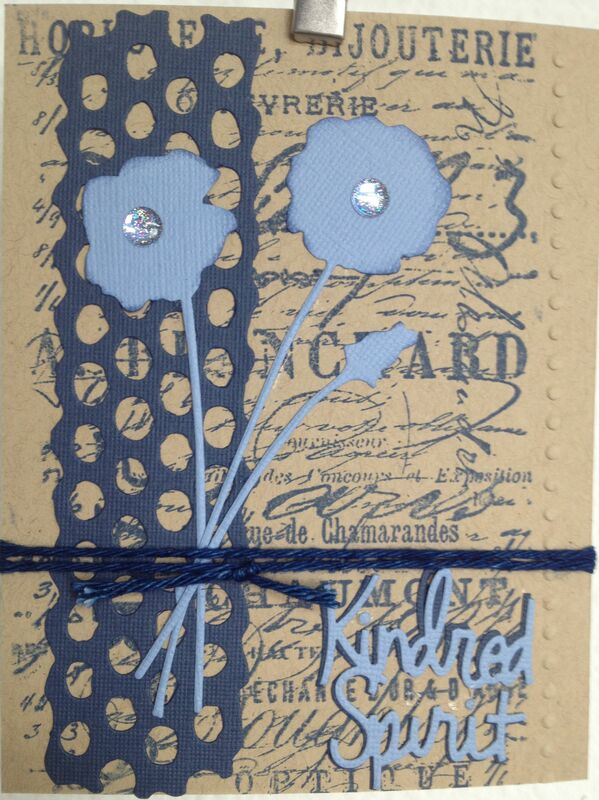 This was pretty much a Cuttlebug card- the honeycomb background, the sentiment, the poppies, and the embossed dots on the side of the card were all done with my mighty bug. 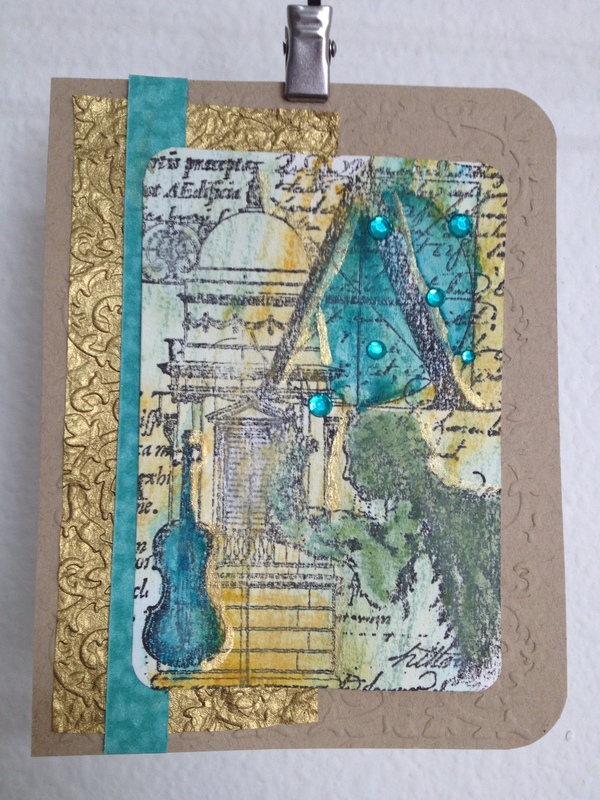 I am not a big fan of a lot of the Tim Holtz stuff but the Papillon stamp set is awesome. This one looks a little wonky because it is. If you tilt your head a little to the right…never mind, it doesn’t help. When it is glued to a piece of cardstock and then run through an embossing folder it looks like it has actually become part of the cardstock. 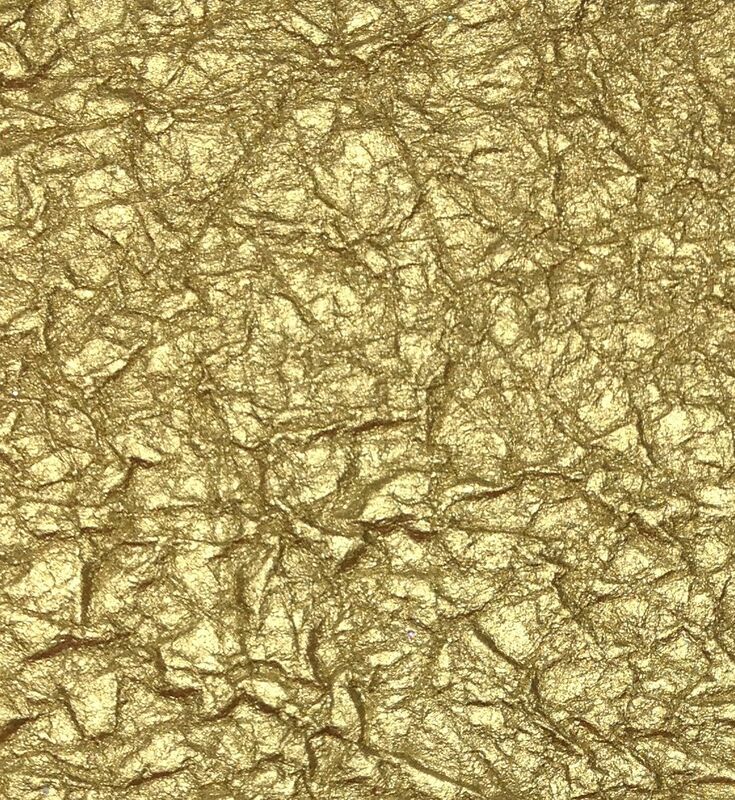 It almost looks like the cardstock is gilded. 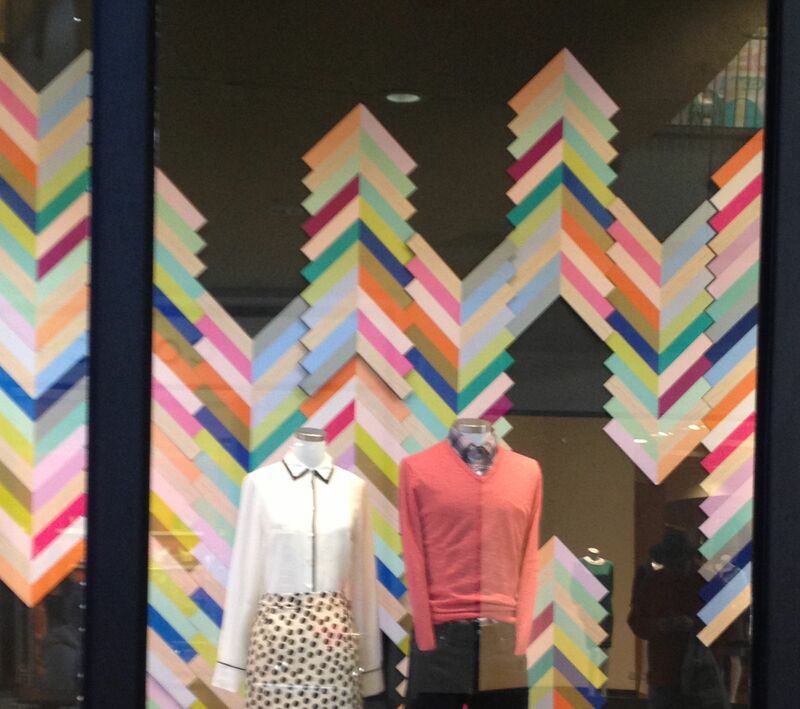 I love the way this store used chevrons. There is a card idea ready to pop out. Okay, this is weird, I must admit. Does anyone know what this is? Is there anyone else out there who photographs their trash? This reminds me of a Jeffrey Dever polymer clay piece. My next series will be dealing with small wall quilts so it won’t be paper related. However the ideas could certainly be used for paper arts. Stay tuned.